The Art Of Bootstrapping. Properly. There’s a right way to cut costs. And a wrong way. 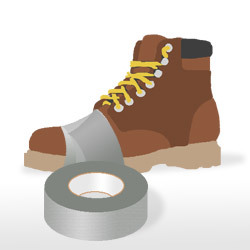 The technical definition of bootstrapping has a lot of history behind it. Today, the popular definition simply means to cut costs and leverage your assets to the max. Most companies go into bootstrapping mode for one of two reasons; Either they’re a new startup with little cash, or they’re in financial trouble. Cut, cut, cut. Anywhere and everywhere. Get rid of all the frills and anything you don’t absolutely need. Beg, borrow or steal (okay maybe not steal) anything you can. Do more in-house. Utilize your own people and assets. Replace the cost in cash with a cost of time. Defer expenses. Not a great way to make friends, but critical to bootstrapping. It’s critical to remember that most businesses die because they simply don’t get sales. A much smaller number of businesses fail because they fail to control costs. With this in mind, most businesses simply can’t cut their way to profitablility. If you’re in trouble and you cut your sales and marketing budget recklessly, you’re probably going to be in bigger trouble. Soon. The more resources you can funnel away from other things and into sales and marketing, the better. Do whatever you can with whatever you have to get sales. Concentrate your effort on selling rather than just cutting. I look at Detroit and just shiver. The big auto manufacturers cut and cut and cut. And they still struggle to tread water because they’re not out selling. Or they’re not making cars that more people want to buy. People are more willing to buy imports AND pay higher prices for them. Bad bootstrapping just makes for a slower death. Get Everybody on Board: There are a number of reasons you have to do this. You don’t want people jumping ship. You don’t want ugly rumors getting out. Get people involved. Get their ideas on how to lower costs. You’re all on the life raft together. Stick together, work together, you’ll get through the storm and be stronger for it. Do More. Sooner: There’s a tendency to phase in cuts to lessen the negative blowback and ease people into the changes. You need a war chest full of gold and you need it now. The more you can cut up front (while you’ve still got something) and funnel into increasing sales, the better shot you’ve got at turning a bad situation around. Freeze Accounts Payable: This can get really ugly but it’s the absolute first thing that experienced corporate restructurers do. Defer payments to your suppliers as long as you can. But as soon as they start calling, it’s time to start talking and get them on board. Renegotiate your deals. Make smaller payments to show good faith. Give them the straight story and a timeline to get back on track. Most importantly, get them on board to keep this confidential and quell their fears. If the word starts spreading that you’re having difficulty, they need to understand that’s not something that’s going to help them get paid. Sell. Bang on doors. Find new income streams. Bootstrapping alone is rarely enough to turn around a bad situation. It helps. It’s just not the final answer because business is about buying AND selling.